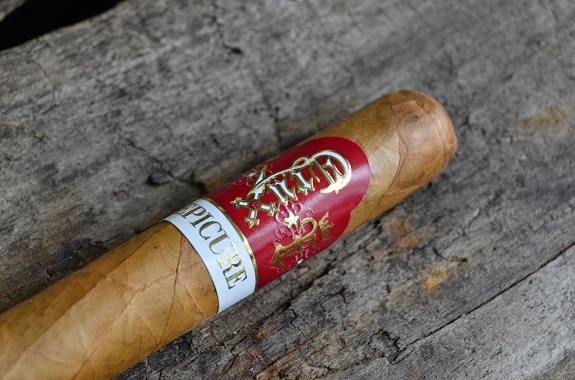 Originally introduced at the 2016 IPCPR Trade Show, it would be over a year before the Crux Epicure line saw its national launch. According to Crux Cigars, there were circumstances that delayed the release of the cigar. The Epicure line finally began shipping in the fourth quarter of 2017. 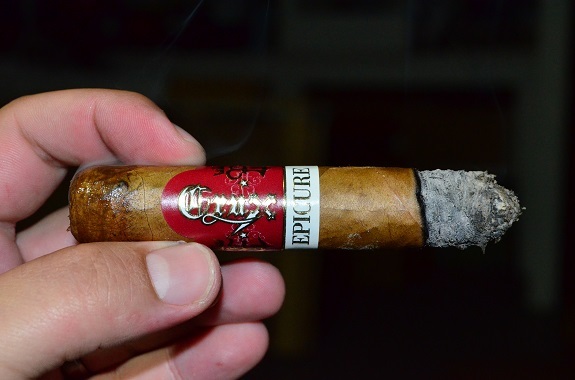 Manufactured in Esteli, Nicaragua at the Plasencia Cigar S.A. factory, the Epicure by Crux Cigars features an Ecuadorian Connecticut wrapper over Nicaraguan binder and filler tobaccos. Available vitolas include Corona Gorda (5 3/8 by 46), Robusto (5 by 50), Robusto Extra (5 3/4 by 54), and Toro (6 1/4 by 52). 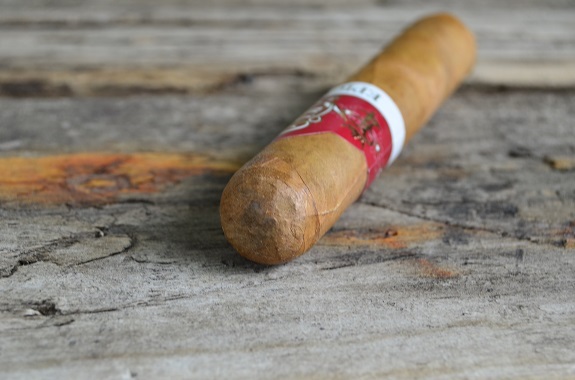 The cigar will run you between $9.25 and $11.50 per cigar. You can purchase the Crux Epicure from our good friends at Famous Smoke Shop. 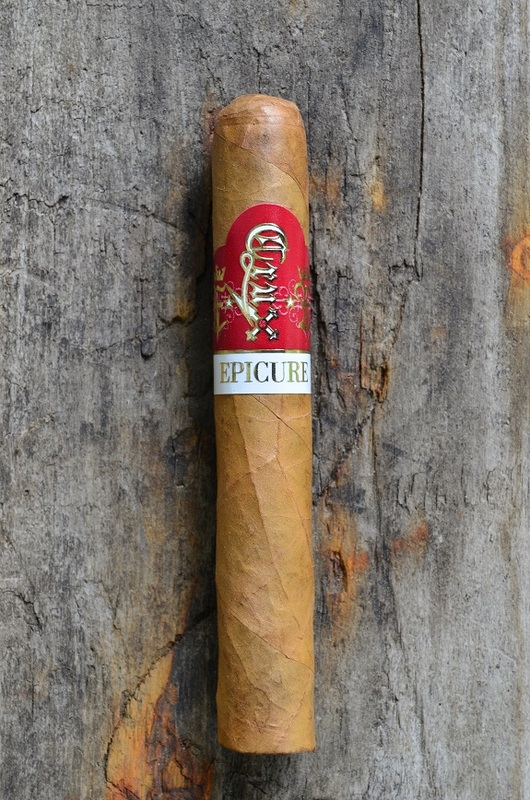 The Crux Epicure Robusto is dressed in a greenish tan wrapper. The leaf has tons of dark splotching. The veins, mostly small, are easy to see on the light colored leaf that is loaded with bumps. The wrapper aroma is faint with a pleasant woodiness and baking spices. 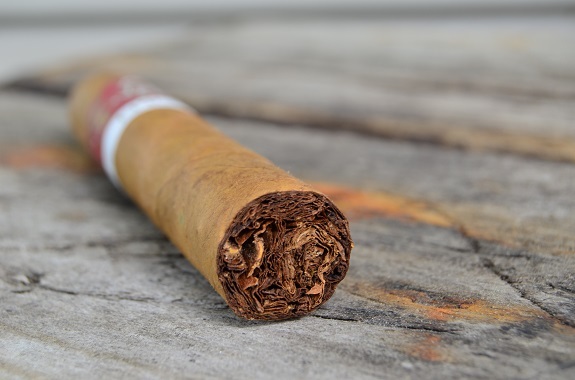 The same notes come across the foot of the cigar with an added raisin and pepper. The tobacco is dense requiring a little effort to cut through the cigar. Upon cutting, big flavors of baking spices and cedar greet my palate. A medium to full spice heat already lingers on my lips. The Crux Epicure starts off with medium flavors. There is a nice woodsy sweetness, cinnamon, pepper, and that familiar Connecticut bitterness. The flavors are matching up well, but I am a little caught off guard by the spice heat. The spice is sharp on the retrohale and some saltiness appears. The eyeliner burn is leaving behind a gray ash that is holding well. The sweetness gains ground, now more sugar like, as the wood evolves to more of a charred wood. The combination is giving the sweetness a caramelized quality. The spice heat calms as I make it into the middle third of the cigar. I am picking up on a unique BBQ smokiness. The burn is thinner and the ash is flakier in appearance as I close out this third. The bitterness reappears as I make my way in the final third of the Crux Epicure Robusto. 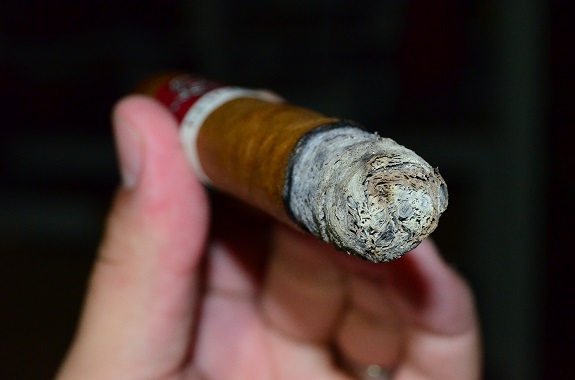 The sweetness and the charred wood remains as the cigar develops in richness. I am actually feeling a bit of nicotine from this 5 by 50 cigar. Just last week I was having a conversation with a good friend and I mentioned how I dislike Connecticut shade cigars (for the most part). And, once again, I smoke a cigar like the Epicure and all these generalizations I have formed about CT cigars is thrown out the door. I have always been impressed with Crux Cigars. From the first Ninfamaniac I smoked to the Classic that landed the #7 spot on my 2014 Top 10 List, the crew over Crux Cigars knows how to make some great cigars. And the Crux Epicure is no different. The building sweetness and richness, the medium to full spice, along with the traditional Connecticut bitterness made this an absolutely great cigar. The robusto behaved well for over an hour, but I am very interested in smoking the corona gorda size to see if things can get any better than this. 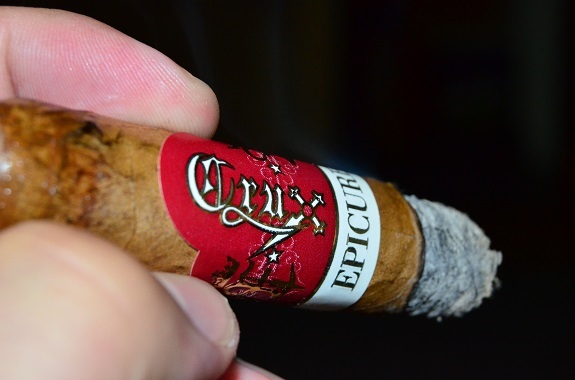 Even at a price of $10.00, I can highly recommend the Crux Epicure.